PHNOM PENH, July 16, 2014 - Opposition supporters gather outside the Phnom Penh Municipal Court to call for the release of five Cambodian opposition Members of Parliament (MPs)-elect in Phnom Penh, Cambodia, July 16, 2014. 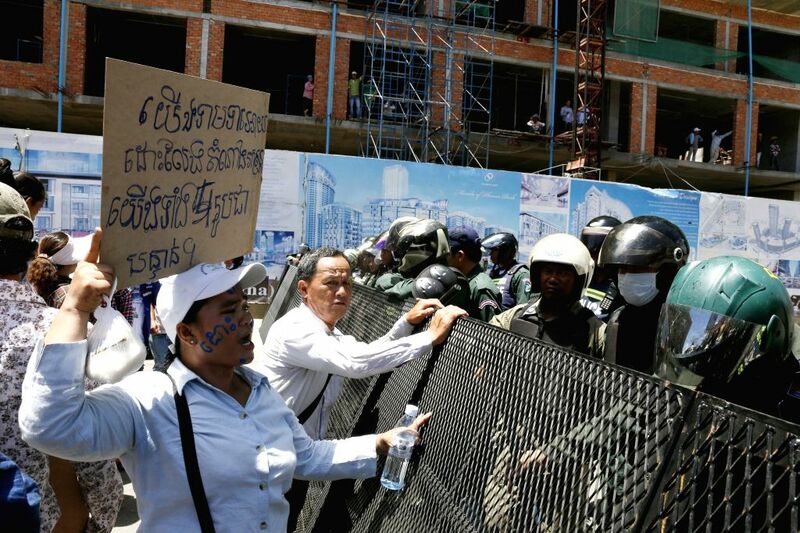 Five Cambodian opposition Members of Parliament (MPs)-elect have been arrested and brought to court on Wednesday following a violent protest on Tuesday that left dozens of people injured, said a senior official. 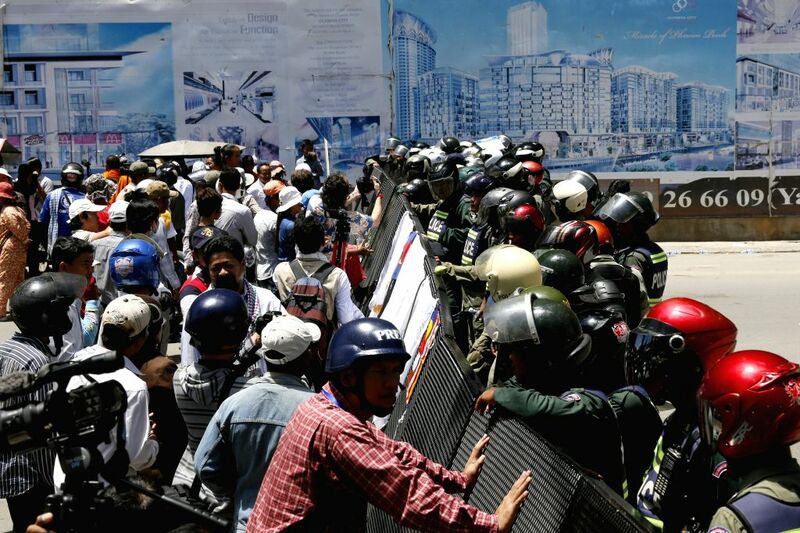 Anti-riot police block a road in front of the Phnom Penh Municipal Court as hundreds of opposition supporters rally outside the court in Phnom Penh, Cambodia, July 16, 2014. 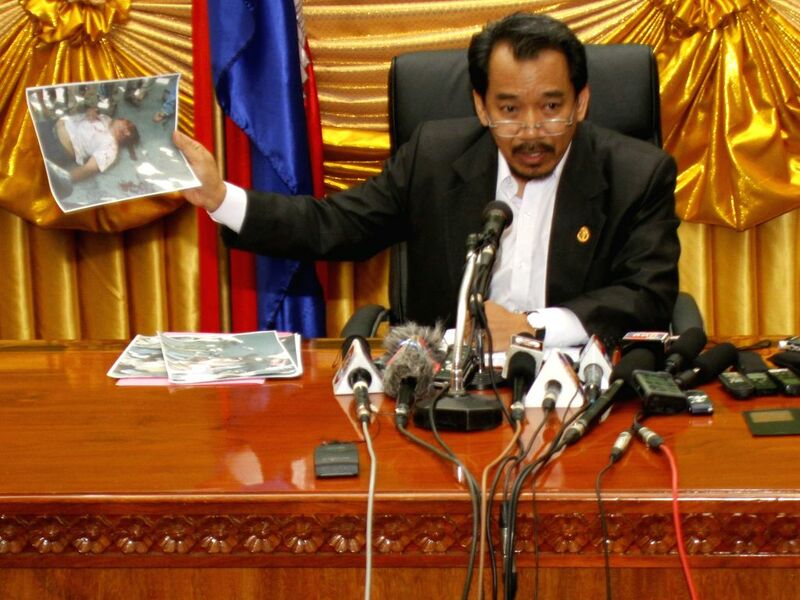 Keo Remy, Secretary of State of the Council of Ministers, speaks during a press conference in Phnom Penh, Cambodia, July 16, 2014.